White, natural sandbed, for all animals perfectly suitable. NO 3 and PO 4 – free!! With this sandbed you can achieve optimal preconditions for an effective biology. Size 1-3 mm. White, fine, optimal for all digging animals, nevertheless heavy for little swirl. 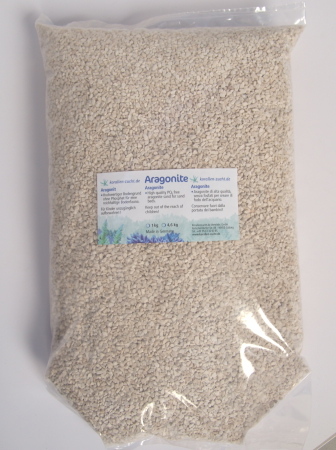 Rinse friction out of the aragonite with osmosis water before use. Fill up about 3 cm.